A sickbay that uses space-age technology to diagnose diseases ranging from stomach bugs to cancer has been unveiled at a British hospital. The first of its kind, it contains a bewildering array of equipment, including probes designed for missions to Mars. 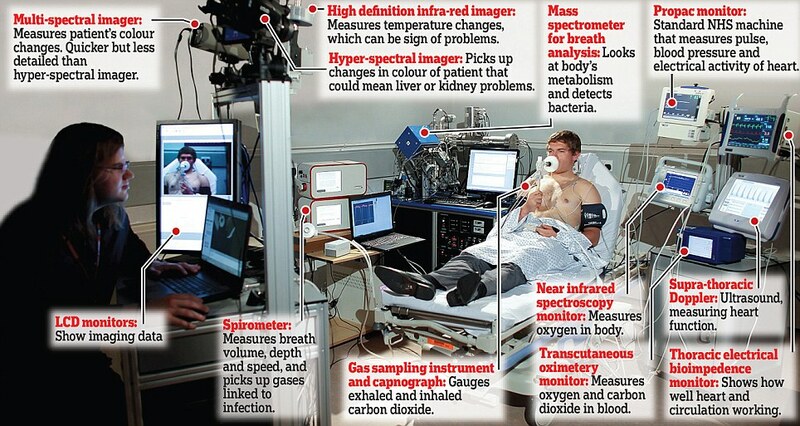 The gadgets in the million-pound unit can detect illness without the need for painful and invasive tests. They combine information about the sight, smell and ‘feel’ of a disease to produce a diagnosis. The unit is described as the first step towards the tricorder scanners that Star Trek’s Dr McCoy waved in front of patients’ bodies to diagnose and treat illness in the crew of the Starship Enterprise. Professor Mark Sims, the Leicester University space scientist who led the project alongside Tim Coats, a professor of emergency medicine, said: ‘In the old days, it used to be said that a consultant could walk down a hospital ward and smell various diseases, as well as telling a patient’s health by looking at them and feeling their pulse. 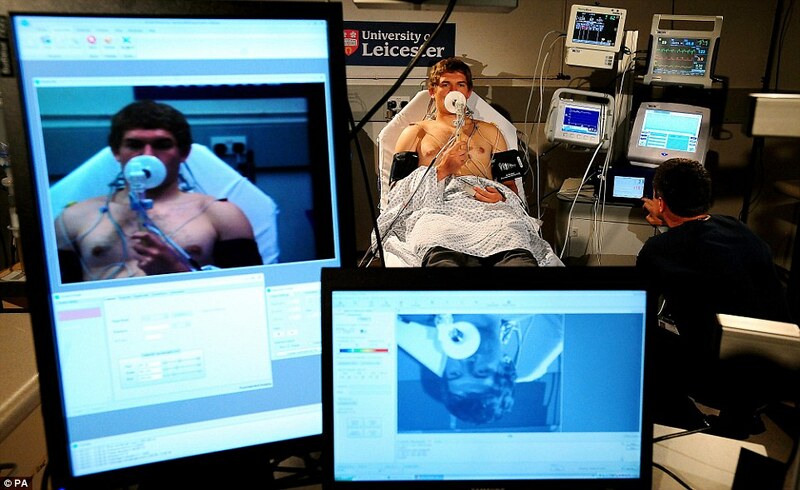 The diagnostics development unit is part of Leicester Royal Infirmary’s A&E department. One group of instruments, the ‘eyes’, uses thermal imaging technology developed by the university’s space scientists to search for life on Mars to hunt for signs of disease via the surface of the human body. For instance, it should be possible to get information about blood chemistry that points to liver or kidney problems without even taking a blood sample. 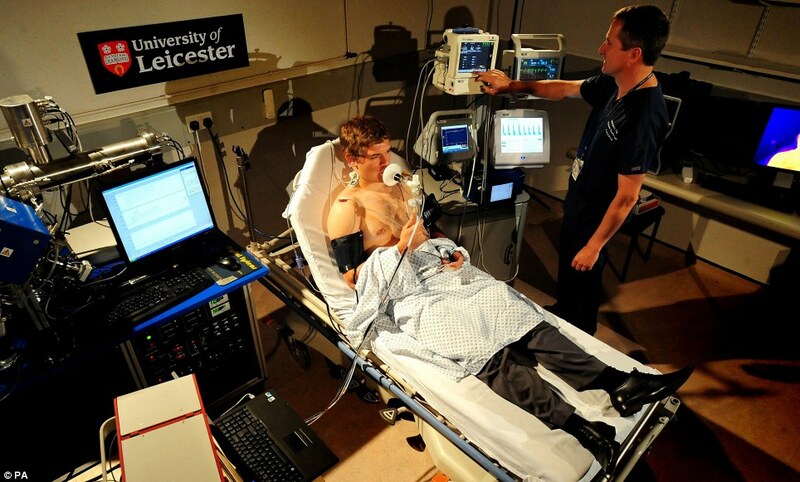 An instrument developed by Professor Paul Monks of Leicester University’s chemistry department is the ‘nose’ of the operation and analyses gases in a patient’s breath. This provides clues to problems from diabetes to asthma, liver and heart disease and several types of cancer. While some of the equipment is routinely used in hospitals around the country, other pieces were custom-built for the sickbay, making it the only one of its type in the world. The unit will initially be used to check out patients thought to be suffering from heart failure, pneumonia and serious, body-wide infections – but the instruments have dozens of possible uses.